It’s that time of year again! Christmas is coming, which means concert time! 🙂 The Marionettes’ three choirs return to Queen’s Hall this December 3rd to 6th with Noël, the third and final production of our 2015 season! You can pre-order your tickets online today (scroll to the end of this page for the order form) or through members! Printed tickets will be available from Monday 23rd November from members, at the Queen’s Hall Box Office (624-1284, 10am–6pm, Monday–Saturday), and from the Chorale. For more information, contact us at orders@marionetteschorale.com and 790-1751 (9am–6pm, Monday–Saturday). For over 50 years, faithful patrons have proclaimed: “Christmas begins with the Marionettes”! 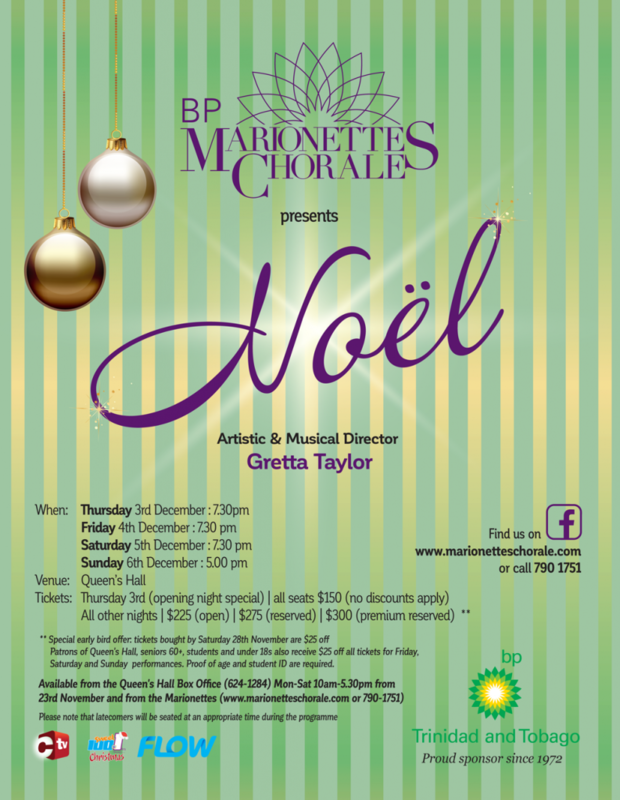 Fresh off our celebrated repeat production of Les Misérables in May and Showtime III: All Grown Up — the 20th anniversary celebration of the Youth Chorale — the BP Marionettes’ adult, Youth and Children’s choirs return the first weekend of December with our eagerly anticipated holiday concert, Noël! 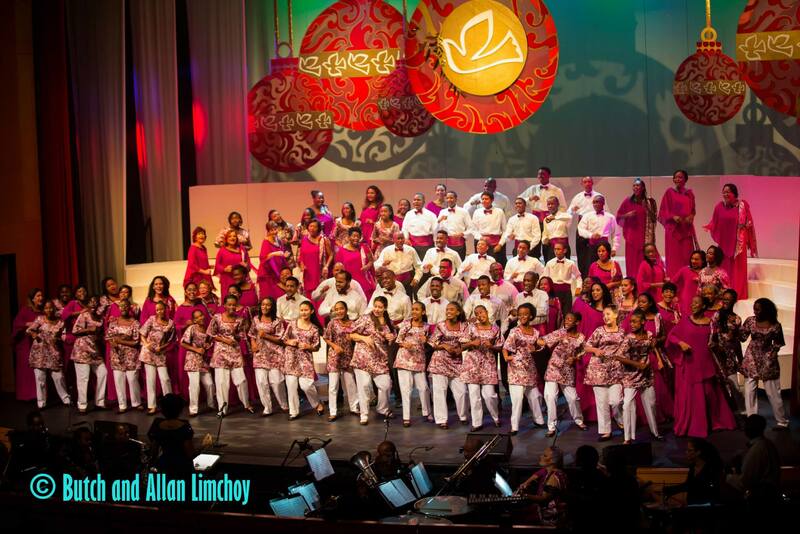 As always, audiences can look forward to the choirs weaving the Yuletide theme through a mix of classical, spirituals, gospel, and popular local and international Christmas favourites. In a time when our country and the world are in dire need of peace, healing and hope, the Marionettes seek to usher in a spirit of love, community, joy and thanksgiving with music to put you in the holiday mood, and remind us all of the reason for the season. All proceeds from the concert go toward the Marionettes Property Fund, and the construction of the Marionettes’ own rehearsal and performance space. RSVP to Noël on Facebook by clicking here! Thank you as always for your support. Make sure to sign up for our free e-newsletter and follow our Facebook page for all the latest! We look forward to seeing you next month as we celebrate Noël!